TS EAMCET 2018 is for admission into Engineering, Agriculture, Medical Colleges in Telangana. 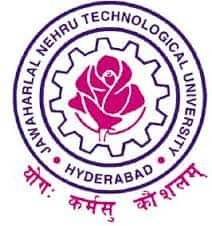 Engineering, Agriculture and Medical Common Entrance Test (EAMCET) is conducted by Jawaharlal Nehru Technological University Hyderabad on behalf of TSCHE. All Universities and Private colleges in Telangana consider the TS EAMCET score. TS EAMCET exam dates have been announced. It will be conducted from 2 to 7 May 2018. This page provides the complete details on TS EAMCET 2018. Candidates can scroll down to get the complete information. Candidates are informed that another four test centres such as Siddipet, Adilabad, Mahbubnagar, and Kodad are added in the Telangana region and same is given towards the end of this page. if any candidate wishes to change to these test zones, they may send the request for change of test zone through their registered email along with the copy of filled in Application form. It will be allotted on first come first serve basis subject to availability. Engineering Courses: In this section, the B.E./B.Tech., B.Pharm courses get offered. Agriculture Courses: In this section, the B.F.Sc., BSc. (Ag/Hort, CABM) courses get offered. Nationality: Indian Nationals or Persons of India Origin (PIO) / Overseas Citizen of India (OCI) Card Holders. Engineering and Pharmacy courses: Candidate must have completed 16 years of age on or before the December 31 of the year of admission. There is no upper age limit. For B.Tech (Dairy Technology), B.Tech. (Ag. Engineering), B.Tech. (FST) and B.Sc. (CA & BM), candidates must have completed 17 years on or before 31st December of the year of admission. Upper age limit for all the candidates is 22 years on or before 31 December and for SC and ST it is 25 years as on 31st December of the year of Admissions. Candidate should have appeared for Class 12 Examination or Equivalent with Mathematics, Physics and Chemistry as optional or related vocational courses in the fields of Engineering and Technology, conducted by the Board of Intermediate Education, Andhra Pradesh. Candidate should have also enrolled for bridge course or courses conducted by it for candidates enrolled during the academic year 2000-2002, or any other examination recognised as equivalent thereto by the Board of Intermediate Education, Andhra Pradesh. Candidate must pass in 10+2 or equivalent examination with at least 45 % marks in Physics, Mathematics, Chemistry / Biotechnology / Biology. The candidates can apply for EAMCET 2018 through online mode only. There is NO offline Process of filling the TS EAMCET 2018 Application Form. Candidates may apply through online mode by visiting the official website. The candidates are suggested to follow the link below to know the steps to fill the application form and to apply for the TS EAMCET in online mode. The candidate who wants to apply for Agriculture and Medical Category (AM) and also wish to take the test in Engineering (E) Category should select the option both (E & AM Category) together while filling the TS EAMCET Application Form, so that same centre can be allotted to them for both the tests. TS EAMCET Hall Ticket is available from 21 April 2018. Candidates other than the Board of Intermediate Education have to download Form DM (Declaration of Marks) at the time of issue of admit card. The candidates have to furnish relevant details such as Registration No, Qualifying Exam Hall Ticket No and Date of Birth to download the hall ticket. The candidates can download the hall ticket from the given link. TS EAMCET Hall Ticket 2018- Available! Application Fees are different for all the Streams. The fee has to be paid through online mode only that is credit card/debit card/net banking. The Application fee once paid by the candidates is non-refundable. The candidates are suggested to fill the application form correctly and submit the form along with the relevant documents to the registered office. Before the declaration of the result, the TS EAMCET answer key will get released. After that, the result for the TS EAMCET will be declared. TS EAMCET Result 2018 is expected to be declared in the month of May 2018. Candidates will be shortlisted on the basis of their performance in TS EAMCET 2018 conducted by Jawaharlal Nehru Technological University Hyderabad on behalf of TSCHE. The candidates can check the answer key by following the link given below. TS EAMCET 2018 ranking for the Engineering, Agriculture & Medical Category will be based on candidate’s qualifying marks in TS EAMCET-2018. The Percentage of Aggregate marks secured in the qualifying examination. If the tie still persists, the older will be given preference over the younger (based on the date of birth). The medium of Exam: TS EAMCET 2018 question paper will be in 'English' and 'Telugu' language. Candidates, who have studied the qualifying examination in Urdu medium can avail assistance for translating the questions into Urdu. The candidates who have studied the qualifying exam in the Urdu language can avail translation assistance (such candidates will be allotted test centre at Hyderabad only). Type of the Question: There will be 160 multiple choice and objective type questions with four options. Each correct answer carries one mark. Negative Marking: There is no negative marking. TS EAMCET Mock Test: Online Mock test for Engineering, Agriculture and Medical stream is available. To take the mock test candidate has to login using his/her Hall Ticket Number and Date of Birth. Candidate can check TS EAMCET 2018 exam centres here. The list of examination centres is available down below. Hyderabad is divided into FIVE ZONES to facilitate the candidates to take the TS EAMCET-2018 in the nearby area. Kukatpally, Hyderabad - 500 085, Telangana. TS EAMCET Application Form 2018 - Applications Started!